As the name suggests it’s a recipe with bhindi (okra) and onion as the main ingredients. 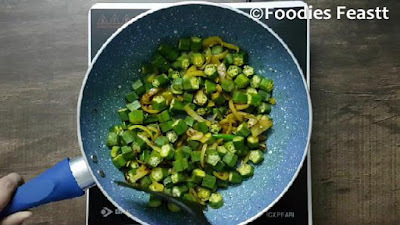 Again a very easy and basic recipe of my blog, specially for beginners. 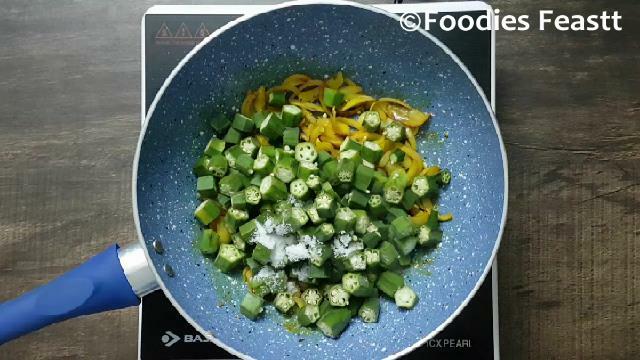 It is a very common recipe of North India, made in almost all the North Indian families. 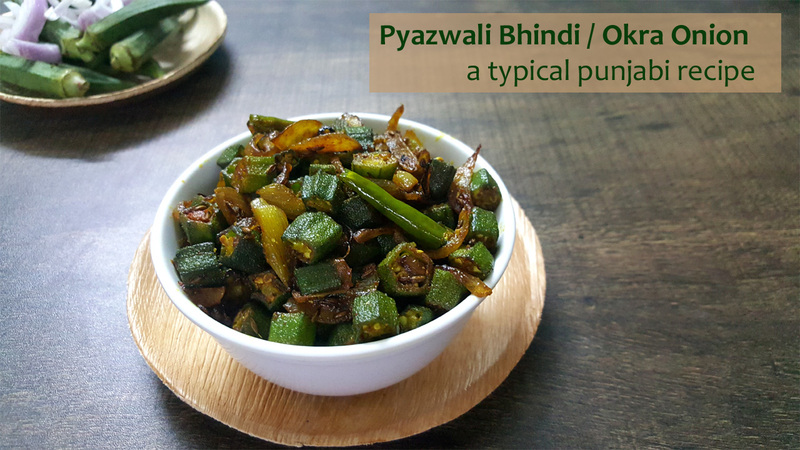 I make it once a week or may be some time twice because my son is fond of this Pyazwali Bhindi (Onion/ Okra) a lot. You can also this recipe as the base recipe for Bhindi Do Pyaza. For Bhindi Do Pyaza you just need to add the onion two times. I’ll upload that recipe soon. 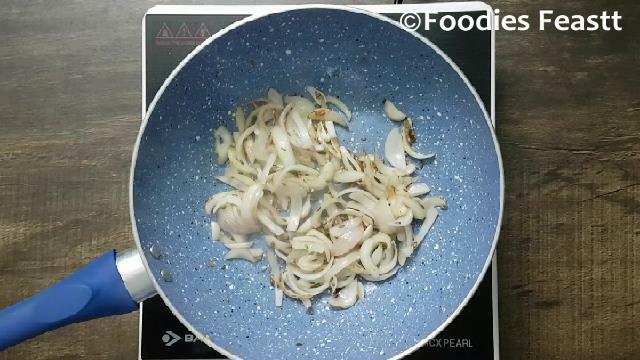 For this recipe you need to add onions in large quantity. I have used 2 large onions for ½ kg bhindi (okra). I also add in some dry mango powder as it adds in that touch of sourness and also reduces the sliminess of the Bhindis. 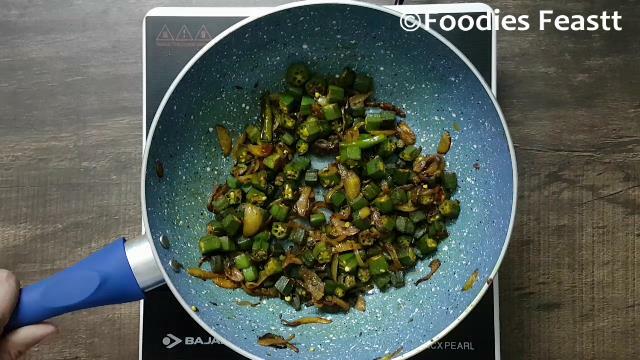 There are some tips to be remembered for making this Pyazwali Bhindi. You can find them in the Tips section below after the method. Also I have uploaded the recipe video for better understanding of the procedure. 1 tbsp Dry Mango Powder. Firstly wash the bhindis nicely and dry them using the kitchen napkin. Remove the crown and the base tip of the bhindis and chop them. Do not chop them very thin, it should be about ½ inch piece. Heat oil in a pan. Add in Cumin (jeera). 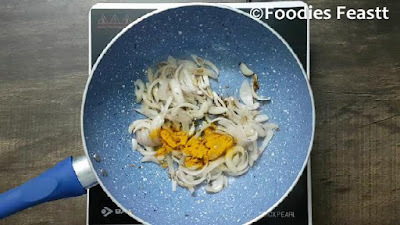 When the cumin seeds splutter and starts releasing its aroma put in the sliced onions. 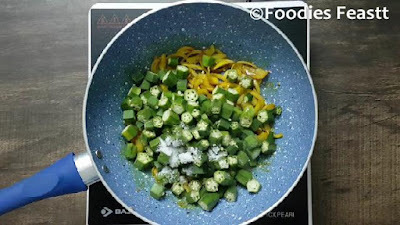 Saute till translucent and add turmeric powder. Then put in the chopped bhindis, green chilli and salt. Mix well and cook on medium to low flame till the bhindis become tender and evenly cooked. Now add in the garam masala powder and dry mango powder. Mix well. 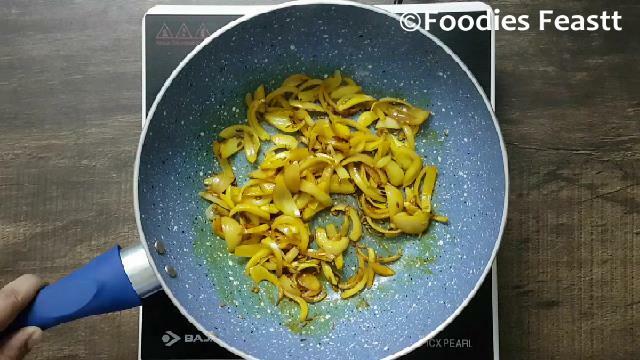 Serve it hot with plain roti, it goes well with moong masoor dal tadka and a bowl of green salad. After washing the bhindis dry them completely, else while cooking they would become slimy. Be careful while mixing in the masalas with the cooked bhindis. Mix it very gently, as the bhindis would be tender so they would mash up. 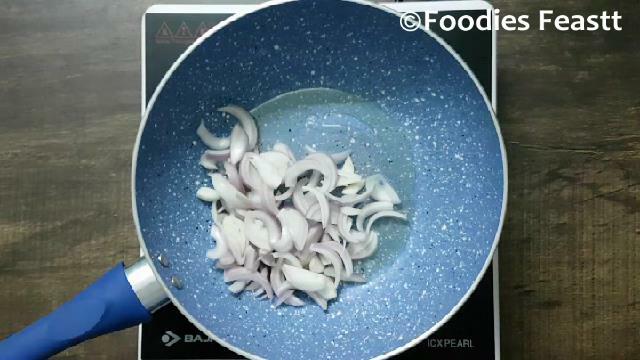 Do not slice the onions very thin else by the time the bhindi gets cooked the onions would become brown and hard. 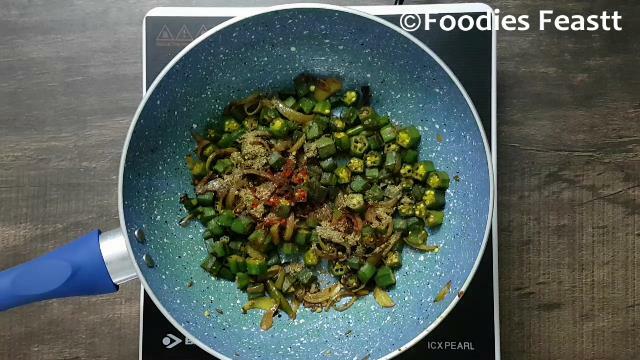 Make this food-a-licious Pyazwali Bhindi for your family and friends and let us know your experiences via comments.